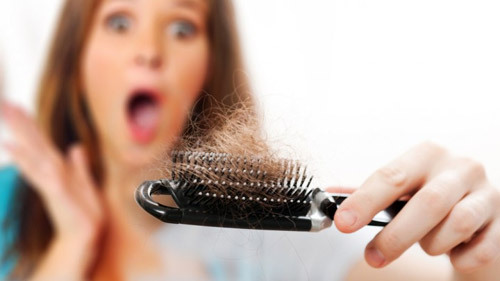 Stress and pollution regularly weaken our hair and leads to breakage and hair loss. Lack of proper diet and taking care of hair would help in coping with the loss; however the busy schedules do not permit us to go through elaborate procedures. Saini Herbal provides the best natural hair growth products for men and natural hair growth products for women that actually work for hair loss treatment. Our Hair loss treatment products not just stops your hair loss, it helps to grow hair back. Our products have been tested and tried for over 15 years and is being used by people worldwide. There is no definite reason for hair loss. There could be any reason. The stress taking its toll, hormonal changes, pregnancy among women, lack of good nourishment, lack of sleep, lack of proper diet. Hair loss also leads to baldness and one should proactively look for its treatment as initial medication would help to prevent your hair. Ayurveda is the natural way for treatment and considered to be the best. It has come across as the most effective one without any side effects. The shampoos that are made of chemicals weaken the damaged hair follicles and stress them. Saini Herbal natural hair growth products for men and women are made from nature’s herbs which nourish and protect the hair and strengthen the roots. Saini’s products are sure to satisfy you and help in hair growth. A good hair growth product helps you to fight hair loss without any worries. Saini Herbal natural hair growth products are made from natural products which are mild on the hair. Also, they take care of the hair from roots to ends by ensuring a smooth mane. The other chemical products available in market may further damage your hair as their chemicals would react to your already weakened hair. A proper Ayurvedic and natural hair treatment would help you in the most effective way. Sain Herbal Oil & Conditioners offers you natural hair growth products online at competitive rates that you can get according to your choice and requirement and type of hair problem you are facing.